We received many, many requests from our users asking for an easier way to create their own default tickets or table management options; so the Loyverse team decided it was a good idea and they started working on a solution for all of them. The final result is the predefined tickets. *To follow up other feature requests check out the Loyverse Community site and support the ones you would like to see in the future. This feature is especially suitable for restaurants where the waiters serve the orders to their customers at the tables. 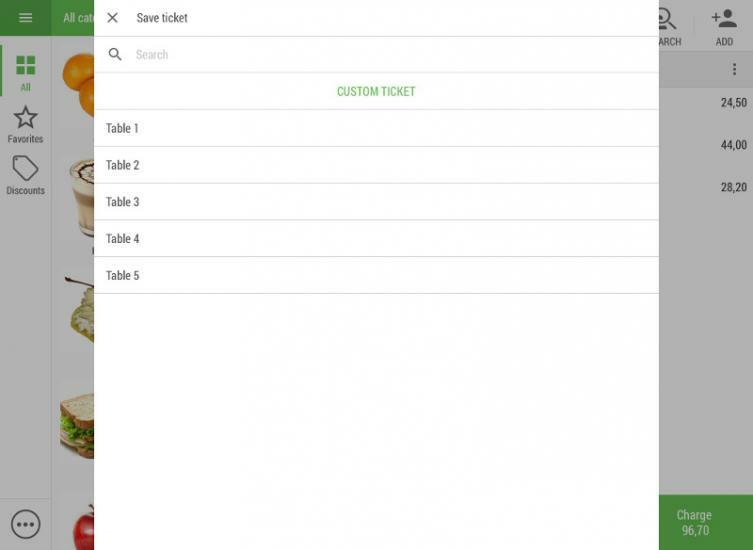 Predefined tickets option allows you to arrange your own list of available open tickets; in case of a restaurant, it would serve as a list of table numbers, to quickly create new customer orders and remember where to send the prepared dish once is ready. The new feature streamlines the current use of open tickets. Now you will be able to choose among a list of different open tickets options on screen after saving a new order in the Loyverse POS app. And it’s not only for restaurants; if you often use the same ticket names for your business, predefined tickets will help you to automate the process. No more manual work! The Loyverse Customer Display System is now also available to download on Google Play for Android tablets. Loyverse CDS is the application for merchants that displays customer’s order information during checkout. Ideal for fast food restaurants and other retail stores. It connects directly to the Loyverse POS app and it’s very easy to set up. See more in How Loyverse CDS Customer Display Works and Customer Display System Configuration Guide. *Note that now Loyverse CDS app for Android works only with Loyverse POS for iOS. We are working on full compatibility between apps on different operating systems (Android and iOS).